SG BTO - CashBack to all the Homeowners living in Singapore. Up to $30 CashBack for any orders before 28 February 2019. How do I enjoy the exclusive CashBack at www.sgbto.sg ? 1. Click the Order Now above. Why should I order through FoodLine via www.sgbto.sg ? No hidden charge. Our caterers are committed to offer the price that was listed on FoodLine. The price published on FoodLine.sg are either the same or lower than if you order directly with the caterer. If you find the same menu elsewhere with a lower price, we’ll match it! See details at: FoodLine's Best Price Guarantee. Unsatisfied with your order? FoodLine.sg will compensate you. As of today, over 157,900 people have ordered on FoodLine.sg for 7,024,500 guests. Our caterers are committed to offer you the same kind of service and food quality. If there are any differences, please let Foodline know and Foodline would take it up with the caterer. Exclusive CashBack from $10 to $30 (usually only $5 to $10) for all catering order via www.sgbto.sg and leave a review of your catering event. Payment for catering services are to be paid directly to the caterer. Payment for cakes are to be made online. How do I know if my order is successfully placed online ? After placing your order online, you will receive an email to inform you that your order has been successfully placed. Thereafter, the caterer will get back to you within the same day or no later than 1-2 business days to confirm your order. How do I customize the menu/modify/cancel my order ? You can call 6100 0029 or email sales@foodline.sg or contact the caterer directly after they’ve confirmed the order with you. How to I get my CashBack ? After your event has passed, go to the Cash Reward page to leave a review as soon as possible within six months. On the review page, indicate your bank account details and the CashBack will be transferred to you in 3-5 working days. Will I be entitled to the cash reward when I order catering on behalf on an organization at FoodLine via www.sgbto.sg? Will the CashBack be indicated in the invoice ? Yes. As the CashBack is offered by FoodLine.sg, the caterer's invoice will not indicate it. What if I have more questions before or after my order ? You may visit the full FAQ at https://www.foodline.sg/faq.php. You may also reach out to Foodline via 6100 0029 or email sales@foodline.sg. Above FAQ is extracted from https://www.foodline.sg/faq.php. Foodline.sg is the Singapore’s Biggest Catering & Cake Portal! 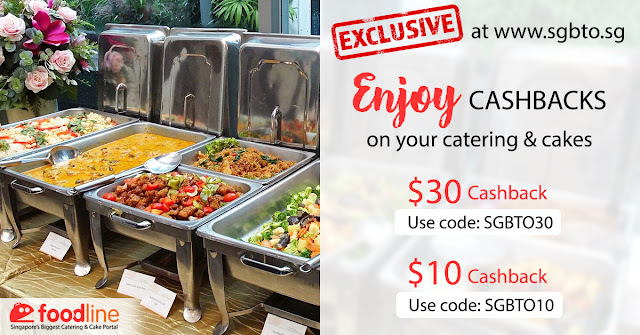 Order from over 260 caterers & cake shops on FoodLine.sg with 15,000+ reviews from past customers to reference from, you can be sure to find the most suitable caterer for your event. Order now at www.foodline.sg! Do I need data point conversion for my new home? “I highly recommend signing up with sgbto.sg for your MyRepublic fiber broadband services. He was very helpful and assisted me every step of the way for the signing up process. 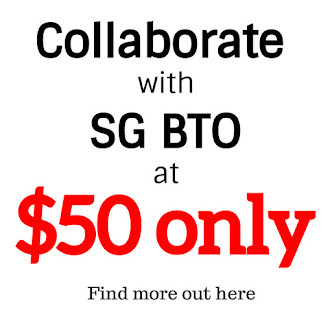 SG BTO is managed by SG Best Bargain. All the information in the post is provided by our partners. SG BTO holds no responsibility for all the information. We respect your privacy. All contact details shared in this website including contact us and subscription to our update(s) will not be share or distribute to any third party. Copyright © SG BTO 2018. Travel theme. Powered by Blogger.